Archaeologists in Guatemala have made an incredible discovery as they have come across the tomb of a 4th century Mayan ‘God-King’ in Guatemala. After excavating the tomb, the researchers uncovered a stunning jade burial mask and a set of different artifacts that are believed to date back between 300 and 350 AD. The discovery makes it the earliest known royal tomb to have ever been discovered in the northwestern Petén region of the country. 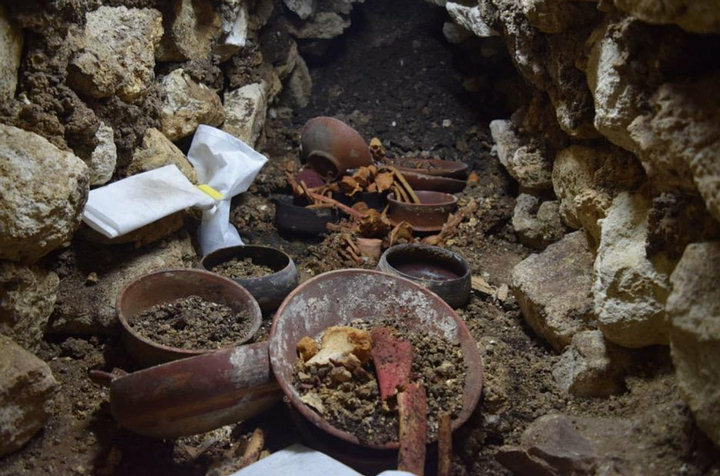 Archaeologists believe that this burial, which has been baptized as Burial 80, could belong to the famous king Te ‘Chan Ahk, member of one of the earliest known Mayan royal dynasties, the Wak established in the second century AD. Identifying the possible tomb thanks to the mask of jade placed on the head of the man and destined to represent him as the god of corn. According to researchers, Maya kings were regularly portrayed as Maize God impersonators. This forehead tab has a unique “Greek Cross” symbol which means “Yellow” and “Precious” in ancient Mayan. This symbol is also associated with the Maize God. The main crops of the ancient Maya were maize (corn), beans, squash, avocados, chili peppers, pineapples, papayas, and cacao. “The Classic Maya revered their divine rulers and treated them as living souls after death,” said research co-director David Freidel, professor of anthropology in Arts & Sciences at Washington University in St. Louis. The archaeological site of Perú-Waka’ is located some 70 kilometers west of the famous archaeological site of Tikal. It is believed that during the Classical period, this royal city commanded major trade routes running north to south and east to west. It was located at a commercial intersection. Researchers discovered a great number of artifacts while searching the tomb. In addition to the governor’s mask, archaeologists uncovered 22 ceramic vessels, spondylus shells, jade ornaments and a crocodile-shaped shell pendant. The remains of the king and some ornaments, such as the mask, were painted bright red. 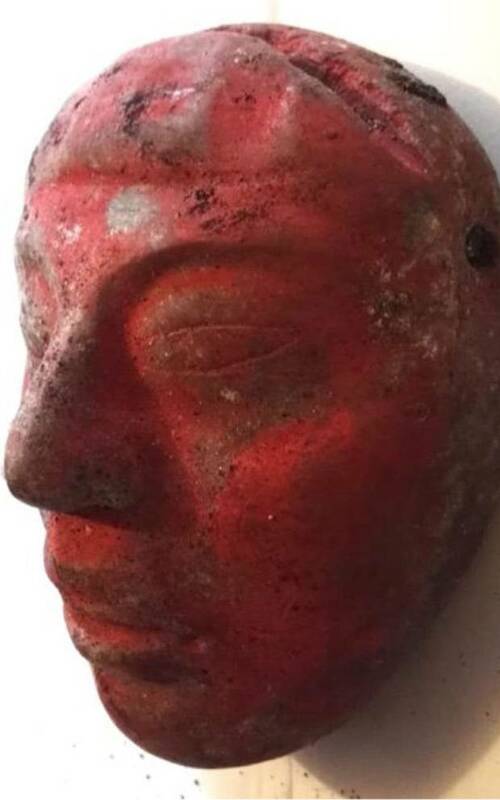 In the 1960s archaeologists at Tikal came across a similar artifact as they discovered a greenstone mask the earliest Maya royal tomb, dating to the first century AD. The earliest Maya settlements date to around 1800 B.C., or the beginning of what is called the Preclassic or Formative Period. The smallest Maya centers covered less than a square kilometer. Tikal, the largest, covered 123 square kilometers. The island city of Tayasal is considered as the last independent Mayan Kingdom, and it existed until 1696. Does this finding have anything to do with the end of the world September 23,2017?